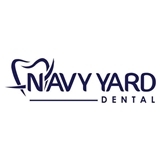 Navy Yard Dental (Washington) - Book Appointment Online! At Navy Yard Dental you are part of the family! We are excited to launch our new office in DC’s fastest growing neighborhood! This is a new office in the Navy Yard area of DC, a short walk from the Metro entrance (Nats stadium entrance is closer than the DOT entrance, FYI). The space and equipment was all brand new, modern, and squeaky clean. Dr Jones and his staff were great--super friendly, quick to answer questions, and efficient. Overall, I had a great experience and would highly recommend this office to others. I already have, actually! Welcome to the neighborhood, Dr Jones & Team!